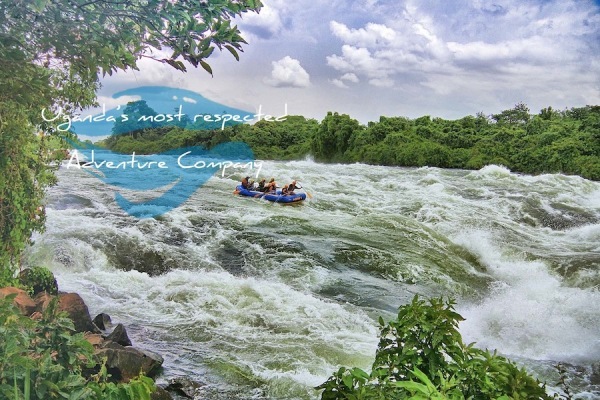 ADRIFT - the most popular and respected adventure operator in the country comprising of an expert local and international team with over 30 years of worldwide rafting and adventure experience will guide you through Uganda's most authentic and unique activities on the River Nile. 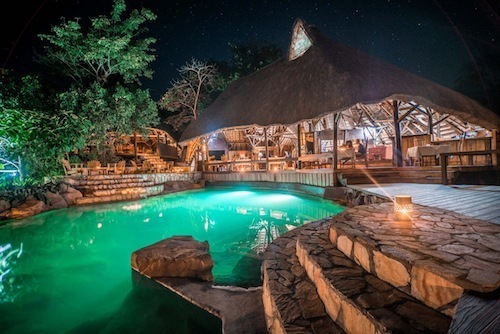 Adventure through the Pearl of Africa and be blown away by the beautiful scenery, the friendly tribes and cultures of this captivating country. 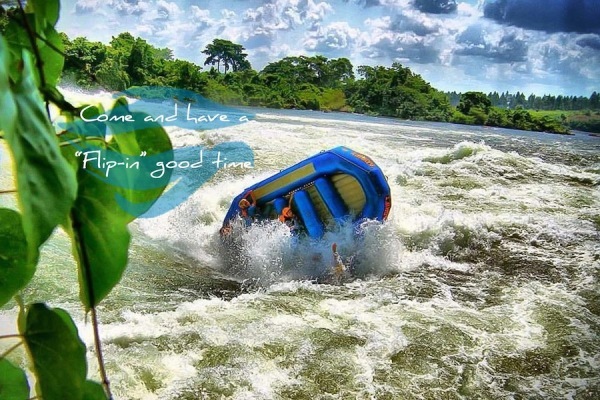 Our rafts explode through huge walls of whitewater and drift through the warm green pools in the equatorial sunshine. 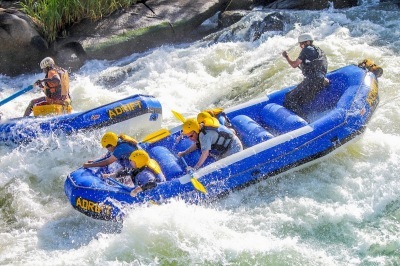 This is whitewater rafting at its very best. 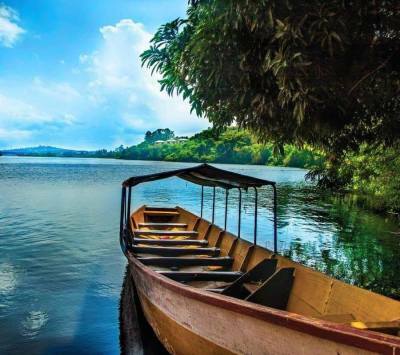 Watch the sun as it settles over the shores of Lake Victoria and the River Nile ! 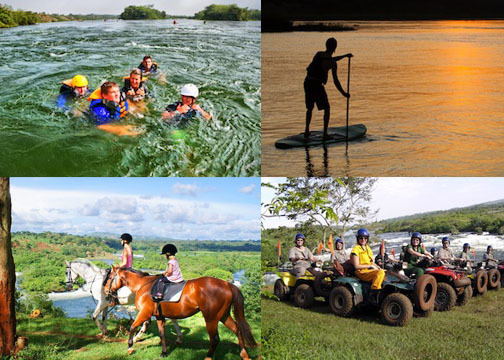 We offer a range of reputable & comfortable Ugandan accommodation experiences. 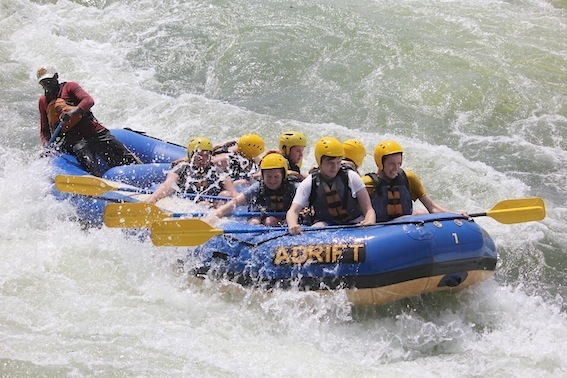 Adrift has an unparalleled safety record that is both unrivalled and admired and we aim to keep it this way. 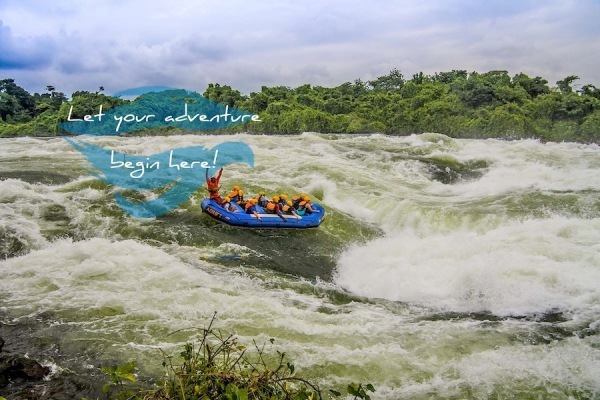 We thank over 62,000 customers who have safely rafted the Nile with us including Prince William, Ginger Spice, Mikka Hakkanen, Ewan McGregor, Charlie Boorman, Joanna Lumley and Ethan Sandler. 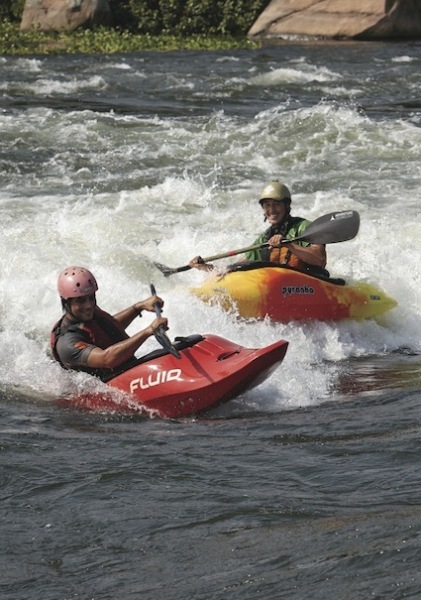 Leading the way, Adrift made the first-ever descent of the river Nile in Uganda in 1996 (10 years after first scouting the river) and hit world headlines before introducing commercial whitewater rafting to the country. 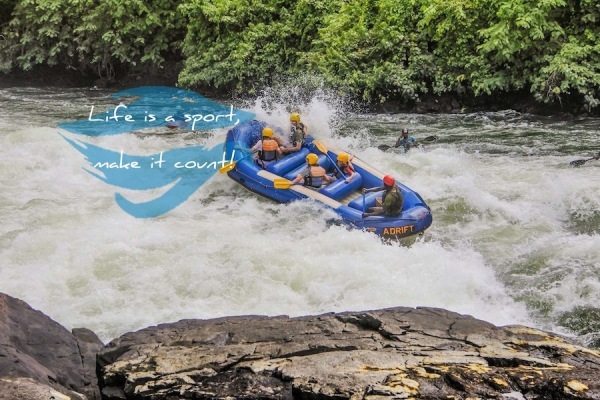 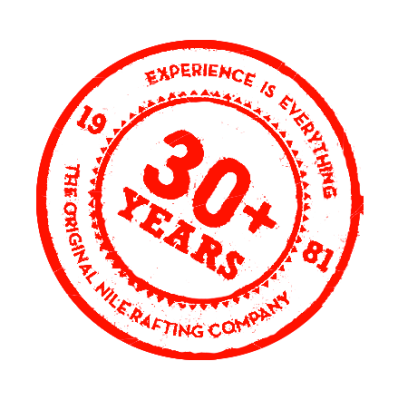 The company has the most professional and experienced team on the continent with over 30 years of worldwide rafting and adventure experience.